Buying real estate in Uruguay is extremely straightforward. The government promotes foreign investment by providing investment protection backed by the country’s laws. Foreign investors have the same rights as Uruguayan citizens and are free to carry out any type of economic activity. There are no obstacles of any kind to invest in real estate.  All you need to buy real estate in Uruguay is a valid passport. You don’t even necessarily need to be in the country at the time: through a notarized power of attorney, you can appoint someone you trust to handle the purchase for you. Before signing the actual sales contract, it is common practice to sign a pre-purchase agreement known as a “reserva” (literally, a reservation). Through this agreement, both parties (the buyer and seller) are subject to a penalty of 10% or sometimes up to 20% in the event that they do not go through with the sale. As a form of guarantee, the buyer deposits an amount equivalent to the penalty in a trust account held by the notary. The seller, for his or her part, hands over all of the documents related to the property, including the title deed, which rules out any possibility of selling the property in question to a third party. After the “reservation” has been made, the notary reviews the history of the property, including previous ownership, by searching a number of different registries. This process takes between six and nine weeks, and the time allotted for it should be defined in the pre-purchase agreement. When the actual sales contract is signed, the full purchase price is paid directly to the seller, contrary to usual international practice. At the same time, the transfer of ownership is officially marked by handing over the keys to the buyer. In certain cases, between the signing of the reservation agreement and the sales contract, a “promise to purchase” agreement may be signed between the buyer and seller. This makes it possible for the buyer to take possession of the property in exchange for partial payment of the purchase price, and is used when all of the necessary legal requirements cannot be fully met within the time period agreed.